Just because the holidays are over doesn't mean that the entertaining has stopped. At least, that's how it is around my place. I like to think of my house as the central hub. The neutral territory. THE place to be. At least once a week there is something going on and I've got a house full of people. My daughter and I are usually outnumbered by the boys too. Even when my mom comes to visit, if you're counting the animals, we're still outnumbered by at least 2 to 1. So more often than not, when there are people over, I like to stick to food that I know the menfolk will enjoy while also trying to keep my womanly figure. That's where these Armadillo Eggs come in. For those of you that don't know what an Armadillo Egg is, it's sort of a Texas (or at least southern) thing. I'm guessing because we have actual armadillos here. Basically, an Armadillo Egg is a cheese stuffed jalapeño that is then wrapped in a ground meat or sausage of some sort. More often than not the whole thing is then wrapped in bacon and then cooked; whether on a grill, in the oven, or smoked. With trying to lighten these up, I decided to swap cream cheese for Neufchatel. I didn't stop there though. Instead of regular bacon, I used my favorite low sodium center cut bacon and to use less of it, I mixed it in with the cream cheese and cheddar to be stuffed into the jalapeños. I went with a turkey 'jalapeño cheddar' sausage that I got on sale and mixed that with a lean ground beef. Being as I didn't use as much bacon as is usual with Armadillo Eggs, I went out and got myself some of the NEW Dean’s Cheddar Bacon Dip! These Armadillo Eggs are remarkably easy to make and are a great option for any upcoming gathering of friends and/or family; mostly because they're one of those things that almost anyone will love. Don't forget to pair them with your favorite Dean's Dip! Their new flavors with bacon are amazing and go perfectly with these Armadillo Eggs, because “Everything tastes better with Bacon”. Dean's Dip has cool, creamy taste and texture that tames the jalapeño while giving an explosion of added flavor. I love that Dean's Dip is convenient and easy to use. Just pop the lid off and get to dipping! Visit the Social Hub to find more tips and tricks with Dean's Dip! 2 Oz. Neufchatel (1/3 Less Fat) Cream Cheese, Room Temp. In a medium bowl, mix together the 2 Oz. Neufchatel (1/3 Less Fat) Cream Cheese, 1 Oz. Shredded Cheddar Cheese, 3 Slices Low Sodium Center Cut Bacon, 1 Garlic Clove, 1 Tsp. Chopped Cilantro, 1/8 Tsp. Ground Cumin and Salt & Pepper to Taste until well combined; set aside. Cut the stems off the jalapeños and cut each in half lengthwise. Scoop out the stems and seeds from the inside and discard. 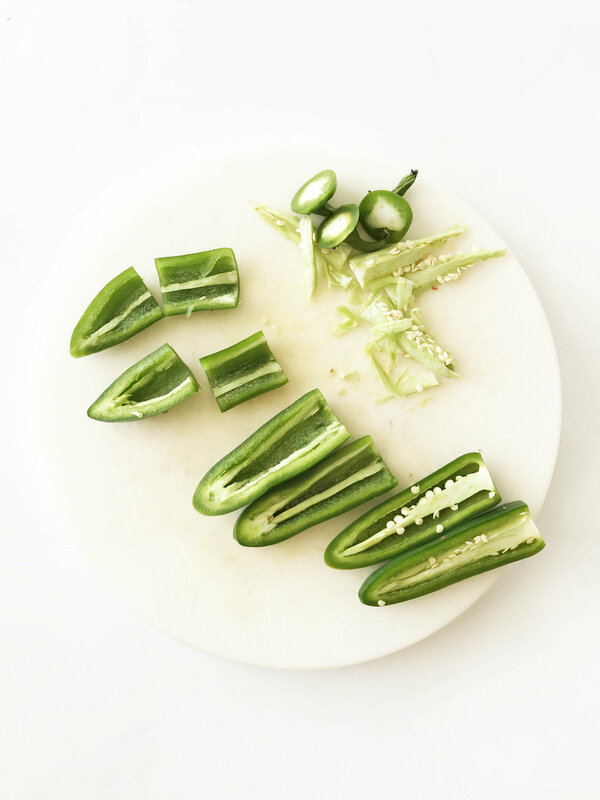 Cut the halves of jalapeño in half again, this time widthwise to give you 12 segments of jalapeño. 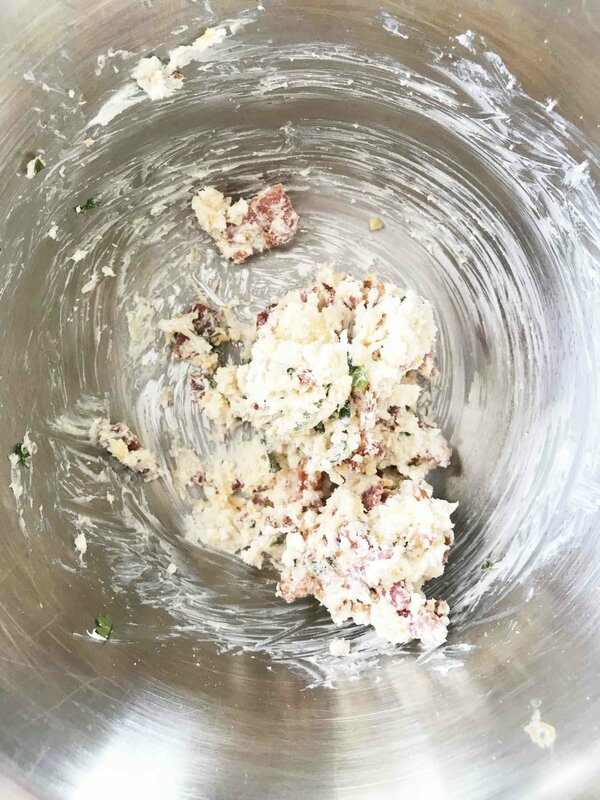 Divide the cream cheese mixture evenly among the jalapeño pieces. In a large bowl, mix together the 1/2 Lb. 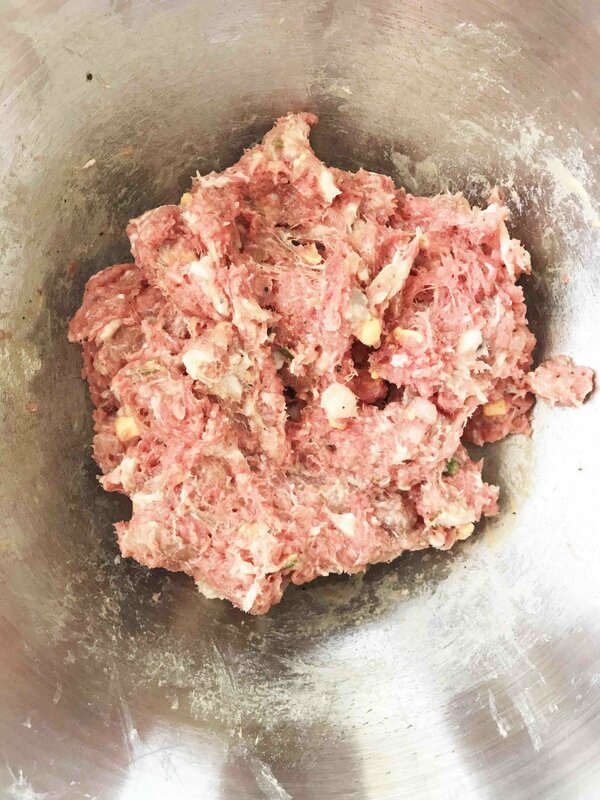 Lean Ground Sausage and 1/2 Lb. Lean Ground Beef until well combined. 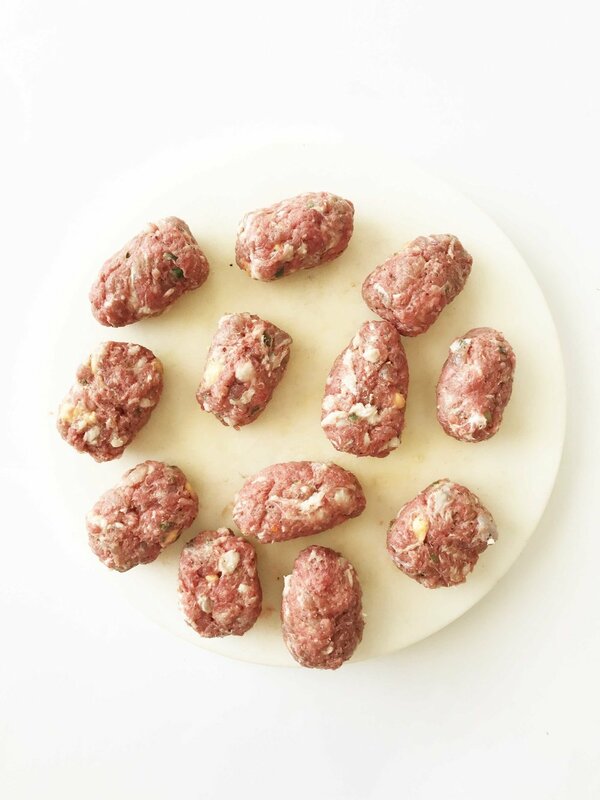 Divide the meat evenly into 12 meatballs. 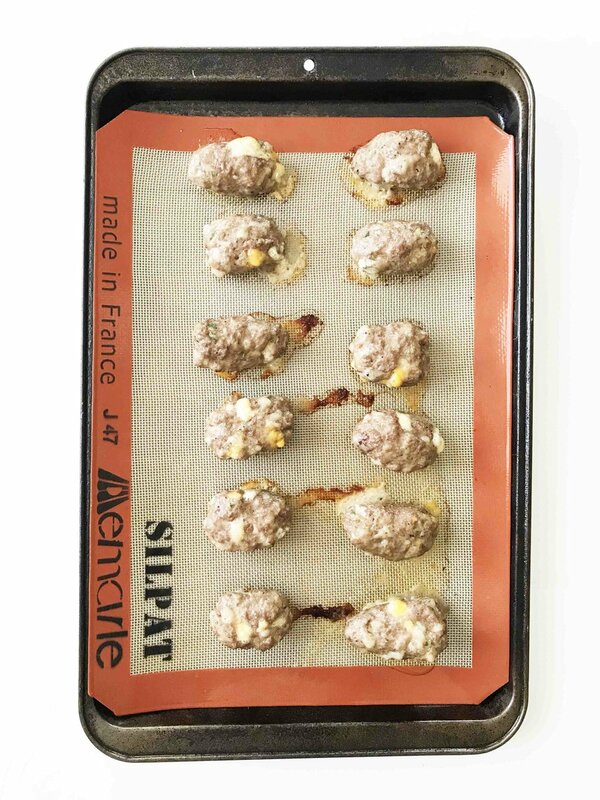 Take one of the meatballs and flatten it out in your hand. 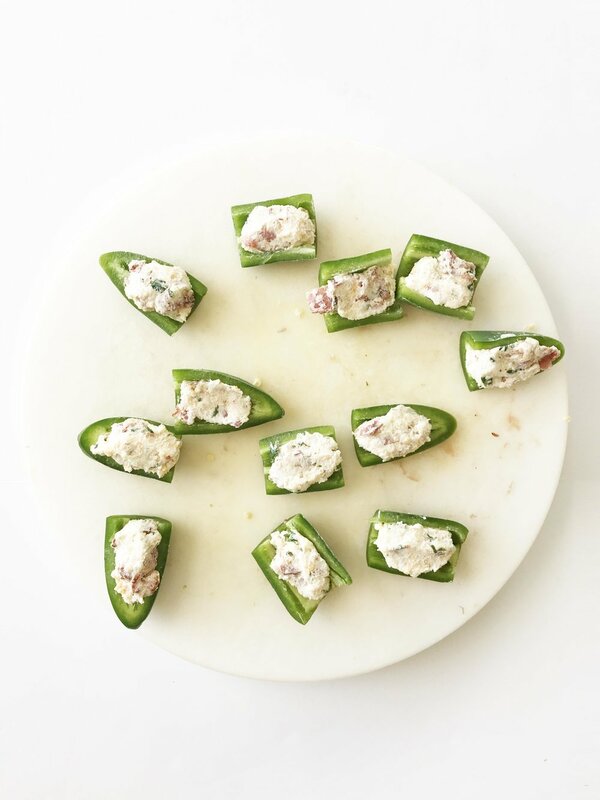 Carefully wrap one of the cream cheese stuffed jalapeño pieces in the meat, being sure to seal it off well. Rinse and repeat for the remaining jalapeño pieces and meatballs until each 'egg' is created. 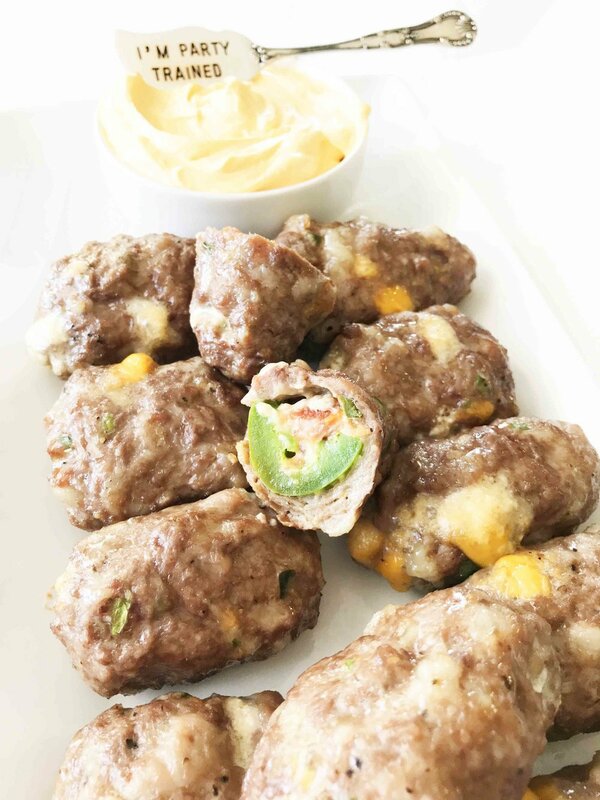 Line the armadillo eggs on the prepared baking sheet and place in the oven to bake for 15-20 minutes or until the meat is cooked through. Once done, remove from the oven and enjoy right away with your favorite Dean's Dip! Dean's Dip is a refrigerated dip that delivers a dairy-fresh taste. I found mine at my local Walmart in the refrigerated dairy section. 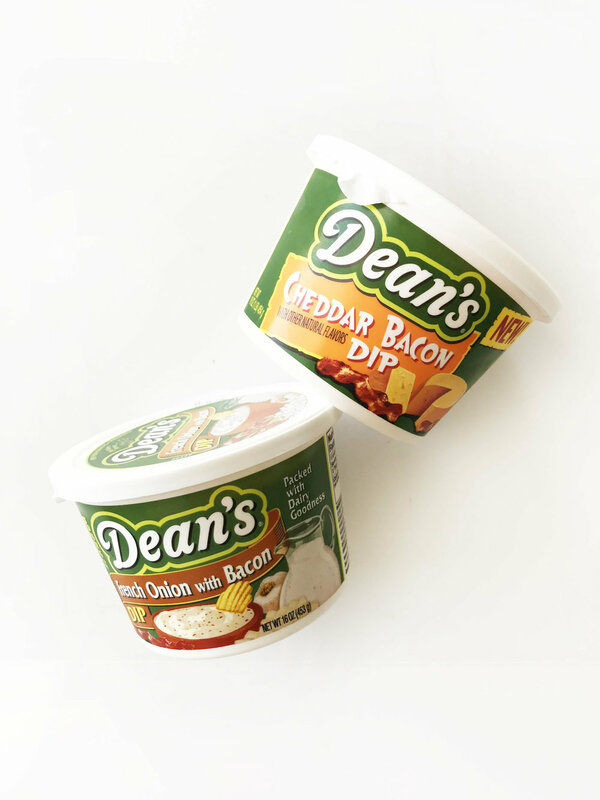 Right now there's even a coupon to get $1 off one Dean’s Bacon Ranch or Cheddar Bacon Dip!